In an ever-expanding pool of Legal Technology Solutions, how do you pick the right technology for your solo/small firm? How do you address the mandatory need for cybersecurity to prevent hacking and protect your clients’ data? How do you protect your livelihood in a catastrophe? Chelsey’s knowledge will leave you a little breathless. 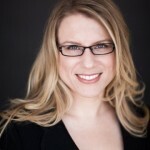 Listen to this jam-packed podcast before you download her incredible her free100 page 2017 Legal Technology Buyer’s Guide . If you’ve wanted to create a virtual law practice, or ‘virtualize’ your law practice incrementally, this is the guest lecture for you. Learn how to get started (and the rationale why) in this nearly hour long podcast filled with invaluable information. You know you need to transition over to more automation in your practice. You read the benefits. Lawyers you know can’t say enough about the time-savings. You watch them accessing their entire office from their smartphone with a tinge of jealousy but you can’t seem to move off the mark. Now you’ve got the added pressure of the clients demanding it, plus asking for lower costs for your services and you are getting squeezed. 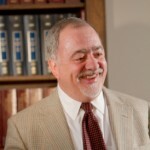 Rules of Professional Conduct and ABA Opinions are putting further pressure on you labeling you ‘incompetent’ if you don’t get up to speed on all of it; e-discovery, electronic filings and more. Listen to this podcast and learn how to transition. It’s important you do. What if you had to market your law firm without using any money? Literally: no money, at all. It turns out that you can develop a vibrant marketing plan without spending one cent. This guest lecture you will learn practical marketing tactics that you’ll be able to employ. Join us as we lay out specific networking and content marketing strategies to apply to your no-cost legal marketing. 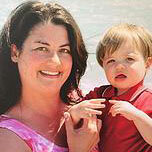 Learn how as Jared Correia and I discuss in this lively guest lecture. In the late 90′s and definitely into the 21st century, the law firm fee structure is morphing and changing under tremendous pressure from clients and the economy. But where do new solos (and some not-so-new) lawyers go to learn about the what fee structures are out there? Jared and I discuss the pressures and those very fee structures. Join us! Have you ever been grieved? The odds are you will. You’ve planned for the actual process of addressing the grievance, maybe. But odds are you’ve not planned for the emotions of being grieved and how it will impact you moving forward. Join us as we talk more in depth about the root of the emotions surrounding a grievance, how it can negatively impact you and what you can do to work through them in a positive, pro-active way. How important is content marketing? It’s actually incredibly important in today’s marketing environment for new (and seasoned lawyers). Join us as we discuss what content marketing is, why it’s important, what are the fastest, easiest, and cheapest ways to get good quality content into the universe, and what you should be writing about. As always, it’s highly informative. Join us! How do we stop worrying about money? In this guest lecture we focus on the particular emotional issues of solos and their relationship to money, those who are out on their own without a steady paycheck. There is also a psychology about money which is fascinating, how we live in judgment of others and how it impacts our actions and emotions day-to-day. Why do we worry when we are somewhat comfortable? Why will we share our most intimate feelings about various topics but feel the most vulnerable talking about money, feel the most shame if we don’t seem to measure up. It’s all in this great guest lecture with the incomparable Karen Caffrey. Join us! 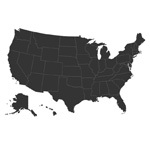 When are you most vulnerable to a malpractice claim, when are you least? What are the ugly malpractice monsters are rearing their heads going forward? 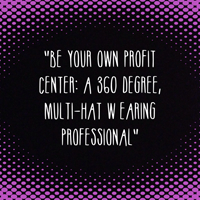 Are you safer as a a newbie or a more seasoned professional? The answers may surprise you. But most importantly, they’ll inform you to help you with your practice going forward. Join Jared and I as we discuss these surprising landmines from our unique perspective. Today, psychotherapist and JD, Karen Caffrey and I take a deeper dive into understanding the psychological ramifications of not taking a vacation (meaning rest) and our own inability to even recognize we need it which compounds the harm. Join us for this highly informative adventure and maybe you’ll come out resolving to take some much needed time to rest and repair. We’ll explain why and then show you how. Newly-minted or well seasoned, Solo Practice University® is devoted to all solo/small firm practitioners, discussing issues faced, offering advice, education, support and inspiration. Want your free copy of Embracing Change? Subscribe by email and download it immediately. 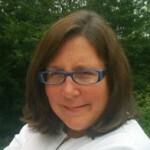 Why Going Solo as a Young Attorney Could Be the Best Decision Ever with Susan Cartier Liebel from Solo Practice University®. 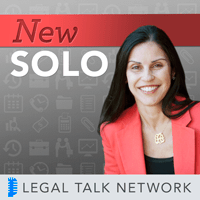 On this episode of New Solo from the Legal Talk Network, Adriana Linares interviews Susan Cartier Liebel from Solo Practice University® about how to stay motivated throughout the process of starting a solo law practice. Motivation in life is very important. I share seminal moments which have shaped me as a human being and helped me become who I am today. 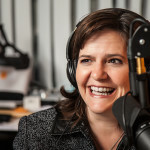 On this podcast from Lawpreneur Radio, Miranda McCroskey interviews Susan Cartier Liebel from Solo Practice University® about perceptions of fear, failure and other issues facing solos. 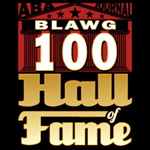 We've been in the ABA Blawg 100 several times and this year made the Hall of Fame. Clio is the smarter, easier and more effective way to manage your practice. Where Have All The Personal Injury Cowboys Gone?